Neuroendoscopy is currently recommended as the first choice to treat posterior fossa arachnoid cysts. It has proven to be effective, providing improved outcome, and safe, having a low complication rate. Compared to craniotomy and shunt placement, it has lower surgical morbidity, minimizing or avoiding risks of subdural fluid collections, shunt infection, malfunction, overdrainage, and dependence. Usually, rigid scopes maneuvered through a suboccipital approach are used. When symptomatic obstructive hydrocephalus develops, CSF diversion is the first aim of surgery. In these patients, a flexible scope introduced through a frontal burr hole allows not only immediate and efficient management of hydrocephalus with endoscopic third-ventriculostomy, but in selected cases also direct cyst inspection and fenestration. Navigation of an enlarged cerebral aqueduct is actually safe when performed by experienced neurosurgeons. 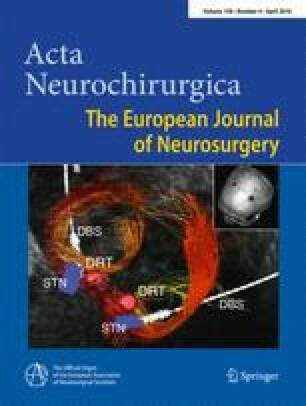 We describe the cystocisternostomy of a cisterna magna arachnoid cyst using a transaqueductal trans-Magendie approach. This minimally invasive technique gives the possibility of performing both endoscopic third-ventriculostomy and cyst fenestration, which alone may not be enough to efficiently treat hydrocephalus. The patient has consented to the submission of this technical note to the journal.